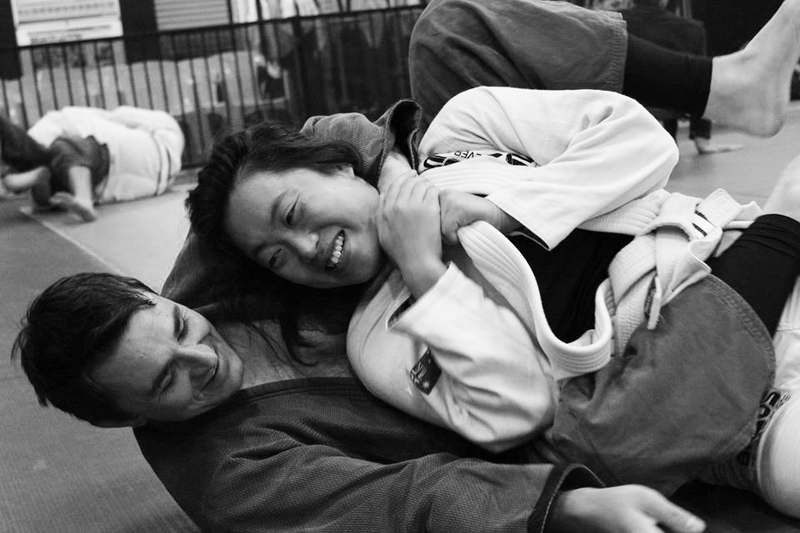 Learn more about getting started with DC Jiu Jitsu—Click here! Brazilian Jiu Jitsu classes are instructed and attended in a Gi (also called a Kimono). 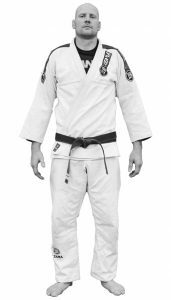 The Gi is the uniform worn for Brazilian Jiu Jitsu and is similar to a Karate or Judo uniform. The Gi is a vital tool in the development of students skills and understanding as you progress through the Jiu Jitsu. All DC Jiu Jitsu students will be required to wear a DC Jiu Jitsu back patch on there GI at all times. If you have a Official DC Jiu Jitsu Gi already then you are fine as all DCJJ GIs come with the academy patch already on the back. If you are wearing a nun office GI or a brand name GI you will be required to purchase and place a back patch on the GI as representation of your team, Back patches must be attached with in the week of obtaining them. Any old academy patches (academy logos we have used in the past) or Other academy logos are not required on the GI as these team’s are no representatives of DC Jiu Jitsu Geelong or DC Jiu Jitsu Australia. new students coming from other academies looking to join DCJJ Geelong may wear there old GI and logos only for the duration of the free trial after this a DCJJ back patch must be displayed on the back and all other patches no related to DCJJ removed. Visitors may wear their team’s logos on the mat and inside the academy for the duration of there visit to our academy. 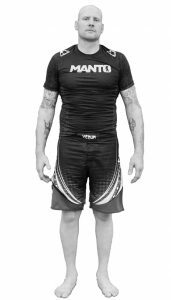 NO GI uniform consists of shorts & a rash vest. The shorts must have no pockets and the rash vest must be well fitted. * DC Jiu Jitsu, GI and NOGI uniforms are available at the academy and will be available at our online store very soon along with other DC Jiu Jitsu Apparel. 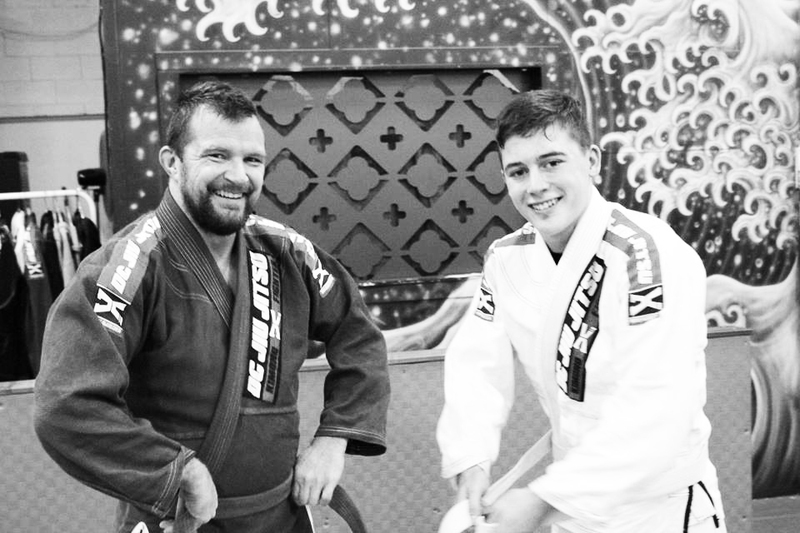 If you have never tried Jiu Jitsu Before then the Beginner classes are for you, The Beginner Program has been designed to give our student the best start and understanding of the Fundamental techniques and concepts of Jiu Jitsu. Students will be able to Improve there over all jiu jitsu understanding, increase flexibility and mobility also start to be introduced to more advanced jiu jitsu techniques, Students in the beginner class are encouraged to ask questions to improve over all understanding of the techniques and positions being studied. The advanced DC Jiu Jitsu program gives our students the chance to explore the more technical and in-depth side of Brazilian jiu jitsu introducing them to many advanced positions, concepts & submissions. This class will help the more advanced students build a more comprehensive and complete game in less common positions and situations that may arise while sparring or competing in jiu jitsu. Brazilian jiu jitsu is always evolving so it is Important to stay at the cutting edge of the modern jiu jitsu. The NOGI program is open to all adult students as part of there membership, In the NOGI class students will have the opitunity to learn jiu jitsu principles and concepts and adapt them to the NOGI format, NOGI class is preformed in shorts and rash guard the goal of our NOGI program is to improve overall understanding of jiu jitsu and help balance GI jiu jitsu with NOGI or submission grappling principles and concepts.